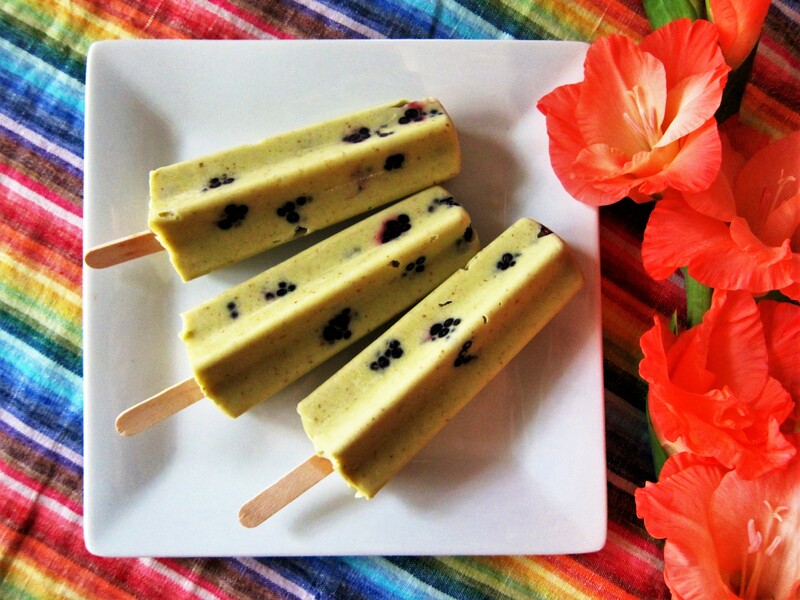 If you are a fan of key lime pie, then you will love this healthier Summer option, Key Lime Blackberry Popsicles! They are not only really easy to make, but good for you too, with heart healthy avocado to give them a rich and creamy texture, and sweet antioxidant rich berries. They are refined sugar free too, but plenty sweet so you would never guess. The next time you want a refreshing dessert, give these a try! Combine all ingredients but the berries in a high speed blender and blend until smooth. Pour into popsicle molds, and freeze until firm before un-molding.